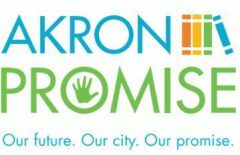 Akron Promise Announces Scholarship fundraisers! Mud Run Golf Course. Tickets are $70 per person or $280 to sign up a foursome. We will have door prizes, proximity contests, and lunch. 952 Kenmore Blvd (the Live Music Now building). Tickets are $25 per person and your ticket includes a variety of desserts, (catered by Kenmore-Garfield High School culinary students), a drink voucher, and plenty of local entertainment. This will be a fun, casual night out. All proceeds from both events will go directly to scholarships for Kenmore-Garfield Graduates! Donations can also be made directly to our FaceBook page.